Welcome to my 101 One Pan Meals. 101 delicious one pan meals that are perfect for lazy mid-week cooking and perfect for if you have had a hard day at work and you want something quick before you head to the couch for your evening of Netflix. 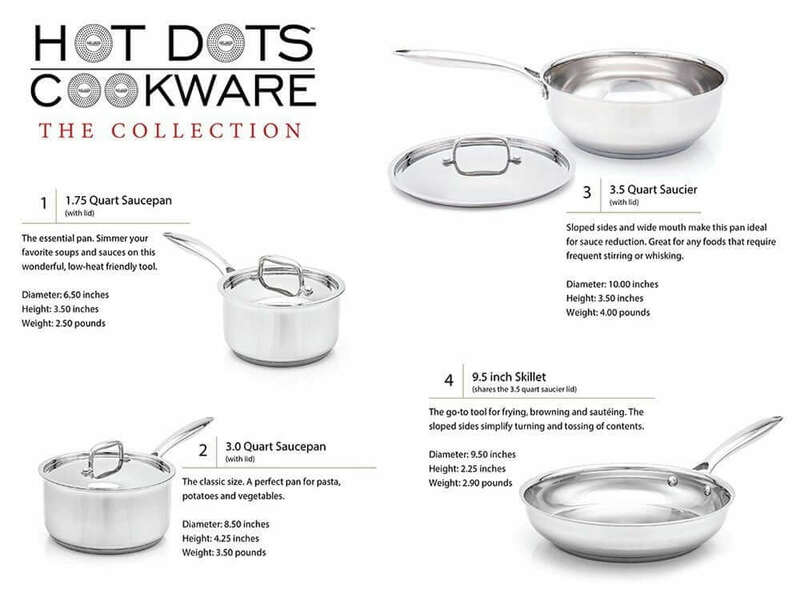 This 101 One Pan Meals Round Up is sponsored by Hot Dots Cookware By Lake Industries. Did someone say one pan meals? Like throw everything into one pan and then it will cook with limited washing up? Well I am there with bells and whistles on. Dominic and I was chatting the other day about his cookery skills and mine. I would class myself as being able to pass the first couple of rounds of MasterChef but could never win it. This is because I lack confidence. I mean I REALLY lack confidence. I don’t know it when I am good at something and will always play down my cooking. This means I would go on a show like MasterChef and eventually end up getting flustered and not knowing what to do and say. Dominic also considers that I am a messy cook and that I am not good at cooking quick. But what he did say, is that I am a better cook than him and with him on hand in the kitchen doing my prep, clearing up after me, that we are a dream double act. Then when we are photographing recipes he will take the photos with my Digital Camera and I will choose the accessories and the style of the photo that I want. But one thing that does speed me up (by a LOT) is one pot cooking. Whether it is a one pan meal, a skillet, the Instant Pot, the Airfryer or a traybake, it makes me at the speed of lightening. I am suddenly really good it and you wouldn’t think I was an amateur. That is why I wanted to put 101 one pan meals together for you. I am sure there are more people out there like me. The ones that make a lot of washing up, that get flustered under pressure, that would be useless in a professional kitchen due to speed and confidence and that are crying out for more one pan meals. Well this is for you and me! Are you a beginner at cooking? Have you just left home? Or have you always lived off processed foods and need to see the error of your ways? Well these beginner one pan recipes are perfect for you. Let’s start with how to make alfredo sauce in just 3 minutes. Because if you are new to cooking then you will want the easiest cheese sauce you can find and THIS IS IT. Or this oriental beef is perfect for if you have some minced beef and you have no idea what to do with it. Plus it is one of those dishes that can be done with any pan, from skillet to saucepan to wok. We all need fast pasta dishes cooked in one pan in our lives. Pasta is the ultimate comfort food and then add a sauce or some quick veg and you have dinner of your dreams. If you want pasta, then it must start with this very simple pasta in a cheese sauce. Loved by many of people around the world we should all learn to cook this! Or how about this amazing spaghetti recipe that you can make in your one pan while you’re away camping with the kids? Or if you are a vegetarian or just love pasta that is loaded with vegetables, then you need our collection of vegetarian one pot pasta dishes. I absolutely love rice. Not that it always loves me. It tends to stick to my abs like glue. But when I was a carb loving moment then nothing beats rice. I first visited the Gambia when I was 9 and it was where I was when I properly learned how to swim. One day I would love to take my kids there and show them true African culture. In the mean time I love to make them One Pot Gambian Rice. Some people make the art of cooking paella look so complicated. Well this is EXACTLY how you can do it in less than 30 minutes! But I am loving this Mexican Chicken & Rice cooked in the skillet from Well Plated. I mean seriously, don’t you just want to dive straight in? Are you a mama like me? Where there is this mad crazy rush of things to do and then heaven forbid, you have dinner to get on the table too? Well these quick one pan family meals are perfect for you. Easy, nutritious and your kids will love you for making them for them. I love a good Homemade Hamburger Helper and it is perfect for making for you to have with your kids when they come home from school. If you get bored of the hamburger helper there is always this Cabbage Skillet Pizza as a Plan B.
Don’t we just love pan fried meals? The idea that we can throw everything in one pan, cook it to perfection and serve. I love chicken thighs in one pan with lots of garlic and my other true favourite is chicken in a mustard sauce. All easy and quick. Let’s start with Simple Pan Fried Chicken & Vegetable Recipe. It is delicious and you just need a pan and an addiction to chicken and garlic. I keep staring at this Frying Pan Fish Crumble from my fellow Brit because I just want to eat it right now. It looks so good and so reminds me of growing up in Yorkshire. Or if you love pork then I suggest you check out this delicious looking Pan Fried Pork & Tomatoes. I love skillet cooking. It is simple, it is rustic and it tastes amazing. Plus there is so much choice with what you can do with a cast iron skillet. My all-time favourite skillet recipe starts with a Spanish Omelette. Something that I have had many, many times on holiday in Spain and always is my first choice whenever I am at a Spanish Tapas Bar. Or when I look at this crispy skillet chicken I just end up feeling starving hungry, even if I have just eaten when I look at it. After this it has to be cookie dough skillet. Not technically a dinner, but seriously you must cook this in your skillet for dessert! Or if you love desserts then you must also try this mixed berry skillet. Just looking at it and I am craving it! But what I really love is these delicious looking pancakes made in the skillet. You can see why the creator calls them ultimate when you look at them! I would let my life revolve around cookie dough and pasta dishes in my one pan, but in reality it is hardly healthy for us. Of course we need some healthy food to balance it out and that is why I have put together this healthy section of one pan meals. I love this Bolognese that is over spaghetti squash. It is on my bucket list to try spaghetti squash, but unfortunately it is not available here in Portugal. But one day I will make it my mission to try it. If you love cauliflower rice in one pot, then I suggest you start with this recipe that shows you how to make cauliflower rice, then follow it on with guide that shows you how to make a cauliflower rice risotto. There is always a big question over what pans you should have in your kitchen for day to day use for today’s busy cook. We all have unique needs and will all like different food, so where should you start? My number #1 choice is always a good skillet. A skillet is perfect for a whole range of recipes and you will notice that a lot of the recipes that we have featured are cooked in a skillet. You can use them for desserts, frittatas, simple pan fried chicken and so much more. With the design of this particular pan though, it is perfect for a wok too or as a paella pan for cooking paella in. We all need a good small saucepan don’t we? In the Milner household we use ours the most to warm up milk for our under 3s, but they are also an amazing cooking tool. If you have a small amount of cooking to do, then you should turn to your baby saucepan first. The medium saucepan can do a lot too. I use it a lot for making soup, a homemade tomato sauce or for just heating up leftover food. It is also fantastic for pan fried food or for using in a homemade pasta dish. When we head to the beach in the summer we will use our medium pan for making a tuna pasta salad. Finally, is the big boy. This is for when we are cooking for all five of us and we want to make sure there is enough food to go around. After all we have a very hungry teenage boy that never ever seems full! I have a habit of overfilling my pans and then food flying out onto the floor, but thanks to this one, my floor if food free! Thank you for reading our top 101 One Pan Meals. We hope that it has inspired you to get your pans out and get cooking delicious easy meals in one pan. Also a HUGE thank you to Lake Industries and the Hot Dots Cookware range. Thanks for featuring a couple of my recipes! I love one-pan meals!